Most of us have wonderful memories of sharing precious past times with our relations on family porches. Now it is your time to create memories on your very own porch. Adding one of Premier’s porch screen enclosures will enhance the family tradition. It is not just a home improvement – it is a lifestyle improvement. 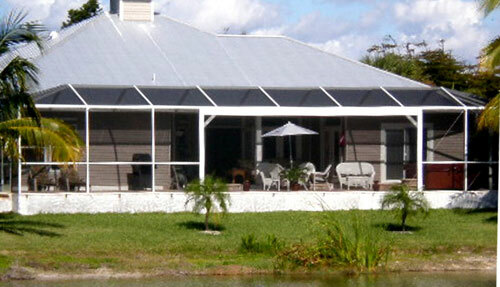 Our porch screen enclosures have everything needed to create that special place. Front porch or back porch – we assist you in taking them back from Southwest Florida elements and pests. Now you can open doors for cross-ventilation and save on air conditioning. We use quality materials and expert installers to ensure your complete satisfaction. Your needs will be met. Enjoy the outdoors without the intrusion of insects and wildlife. The safety feature of an extra door that can be locked will give you peace of mind. Your porch will become a focal point of activity where everyone will feel more comfortable and relaxed.